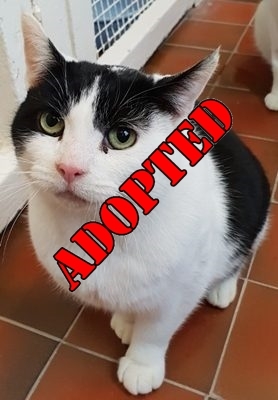 Published 9th February 2019 at 278 × 400 in Cats Looking For Homes. ”Billy’ 8 and a half year old Black & White Male. Billy is looking for a home as his owner had to leave theirs. He is very shy and not particularly sociable, he likes to be left to his own devices, so would not be suitable with young children. We have found he comes out of himself much more when he has a friend so he may be happier in a home that already has sociable cats.